Almonds grow on trees in a pale green perforated shell. When an almond is attached to the tree, it is known as drupe. But almonds aren't the only ones that grow in a shell - Olives, prunes and apricots also grow in a hard casing and are found on trees. Some believe that almonds have been around for almost 19,000 years.They were initially cultivated in Iran, Afghanistan and Turkey, and later spread out to the Mediterranean region, Europe and China. Almonds also have great historical significance. It is said that almond and almond trees both featured in the Old Testament. The branch of the almond tree was also spoken of in Exodus, the story of Moses and in Egypt they were stuffed in all kinds of treasures - vases, boxes, jewelry cases etc. Almonds are rich in nutrients like vitamin E, dietary fibers, omega 3 fatty acids and proteins. Some say that almonds can be considered the next big 'superfood' because of their unbelievable nutrient profile. They're high on protein so they keep you full for longer and they're rich in manganese which helps strengthen bones and regulate blood sugar. 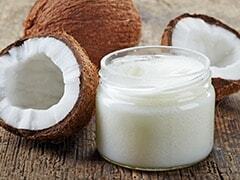 They're extremely helpful for those with blood pressure problems and also help muscle and nerve function. If your mother pleaded with you every morning to eat your daily dose of soaked almonds, then she may have been right. Choosing between soaked almonds and raw almonds isn't just a matter of taste, it's about picking the healthier option. Why soaked almonds are better - Firstly, the brown peel of almonds contains tannin which inhibits nutrient absorption. Once you soak almonds the peel comes off easily and allows the nut to release all nutrients easily. How to soak? Soak a handful of almonds in half a cup of water. Cover them and allow them to soak for 8 hours. Drain the water, peel off the skin and store them in plastic container. 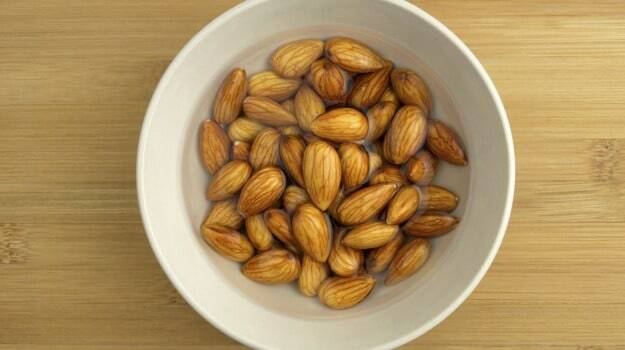 These soaked almonds will last you for about a week. 1. Help with digestion - Soaking almonds helps in releasing enzymes which in turn help with digestion. 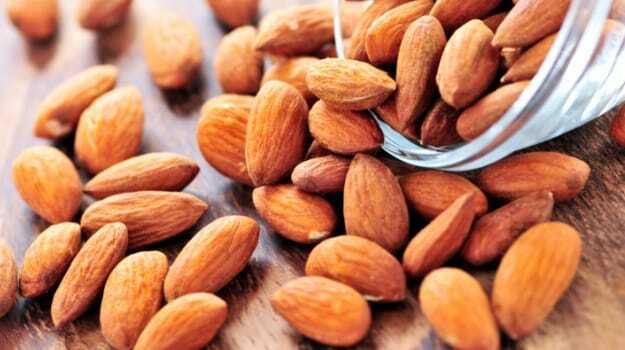 Soaking almonds releases enzyme lipase which is beneficial for digestion of fats. 2. Help with weight-loss - The monounsaturated fats in almonds curb your appetite and keep you full. So feel free to snack on them because they'll help you avoid binge-eating and trigger weight-loss. 3. Almonds keep your heart healthy, reduce bad cholesterol (low density lipoprotein) and increase good cholesterol (high density lipoprotein). 4. They are a good source of antioxidants: Vitamin E present in soaked almonds works as an antioxidant which inhibits free radical damage that prevents ageing and inflammation. 5. Fight Cancer: Soaked almonds contain Vitamin B17 which is vital for fighting cancer. 6. Flavonoid present in almonds suppresses tumor growth. 7. Help in lowering and maintaining glucose levels and regulating high blood pressure. 8. Soaked almonds contain folic acid which reduces birth defects. Almonds have many fantastic nutritional qualities and the best way to derive all the benefits from this superfood is to make sure you include these in your diet regularly.